The Originals airs on The CW on Friday nights. Put Eli in danger and I'm fretting and worried. Put Klaus in danger and I don't even gasp. He always finds his own way out -- often with no help. Meanwhile, this is the best season ever. Yet there's talk that the show will be cancelled. 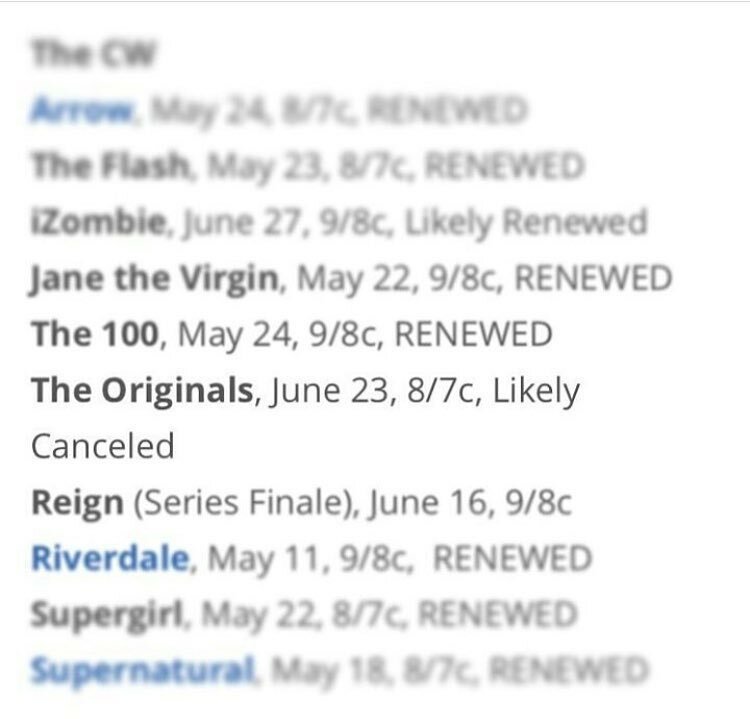 The Originals needs to be renewed. It's the only show on The CW that I make a point to watch. I'd even take it as a block with Supernatural. But it has to come back. It's the best show The CW has. Tuesday, May 2, 2017. Chaos and violence continue, The Mosul Slog continues, and much more. The bombing above was in Anbar Province. 2 suicide bombers in Salah ad-Din Province today took their own lives and the lives of 2 police officers. FYI, Aimee's new album is MENTAL ILLNESS and it's one of the year's finest. It's day 195 of The Mosul Slog. Remember when it started in October and was supposed to be over by the end of October? Now the Iraqi government is saying it will be finished by the end of this month. 195 days of brutal attacks on a densely populated city. Instead, they described a horrifying battlefield where airstrikes and artillery pound neighborhoods relentlessly, trying to root out IS militants, leveling hundreds of buildings, many with civilians inside, despite the constant flight of surveillance drones overhead. Displaced families scurry from house to house, most of them driven out of their homes in other neighborhoods by IS militants, who herd residents at gunpoint out of districts about to fall to Iraqi forces and push them into IS-held areas. Their accounts underscore how increased use of bombardment has made the fight for Mosul’s western sector, which began in mid-February, dramatically more destructive than its eastern half. More than 1,590 residential buildings have been destroyed in western Mosul, based on analysis of satellite imagery and information from local researchers, the U.N. said last week. Airstrikes killed 1,117 people in western Mosul in March and April alone, according to Iraq Body Count, an independent group that documents casualties in the war, cross-checking media reports with information from hospitals, officials and other sources. In comparison, an estimated 1,600 civilians were killed or wounded from all causes during the 100-day campaign to recapture Mosul’s less densely populated eastern half, which ended in mid-January. Iraqi Vice President Osama al-Nujaifi said the humanitarian situation in Mosul has reached a “catastrophic point” as Iraqi forces engage in clashes with Islamic State (ISIS) militants in western Mosul. 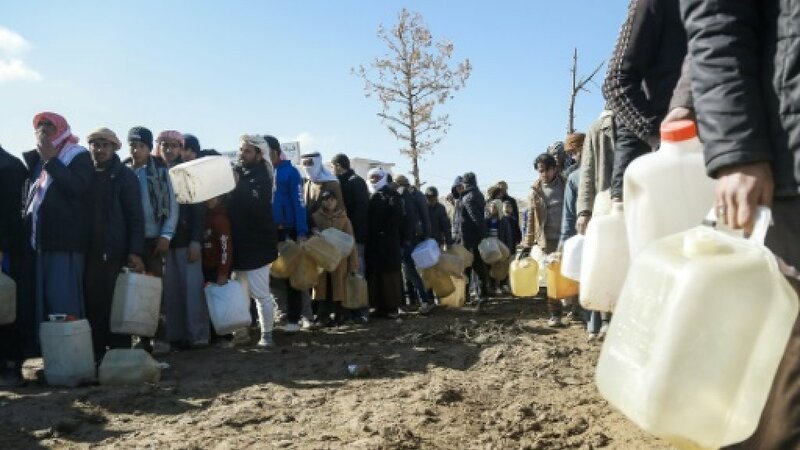 "The situation is catastrophic amid famine and lack of food and medicine, which make the city live an unbearable situation," al-Nujaifi told a party meeting late Sunday (April 30). Some 400,000 civilians remain trapped inside the densely-populated Old City where street battles have raged for weeks. The Iraqi VP said hundreds of thousands of families have heeded government calls to stay at their homes because militants may use civilians as human shields. Molly Hennessy-Fiske and W.J. Hennigan (LOS ANGLES TIMES) report on the US military's assessment of their own counting/reporting. The US military is having difficulty counting civilians because they're apparently not the ones (the US military) calling in strikes. So in a country rife with sectarian divisions, with a Shi'ite dominated military attacking a Sunni town, the air strikes are being called in by the Iraqi military. Rafael Hernandez, a senior at UNG, worked with Lee in the bookstore and was a teammate with him for a semester in the rugby club. Hernandez called Lee a “good teammate” and “a force to be reckoned with” in rugby. Did you get your cup of morning rage?